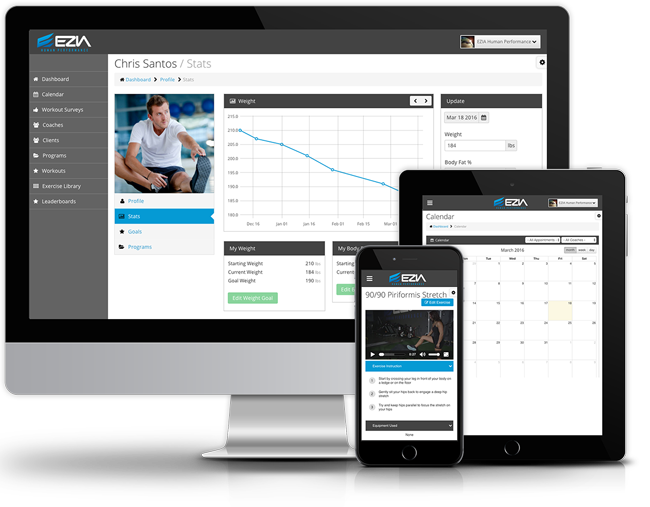 EZIA Coach is an easy-to-use system for personal trainers who want a faster and more efficient way to track and manage their workout programs and boost client loyalty. Build and manage workout programs! Exercise library included AND build your own. Manage clients, classes and schedules! Track and analyze individual progress, goals and biometrics. Brand your website and programs online! All devices, all the time. Say goodbye to pen and paper or excel programming! 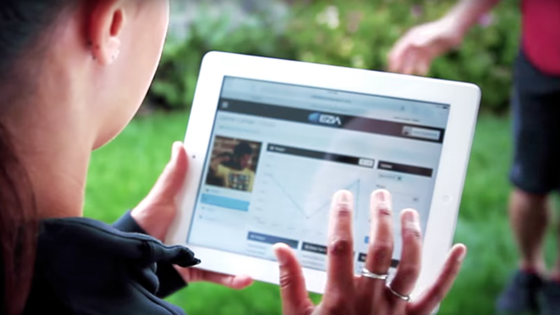 EZIA Coach is a web-based platform that can be accessed from any device connected to the Internet. Supports Android and Apple devices, use from computer, tablet or phone. Every client program detail at your fingertips in seconds. Your are fully in control, share clients on programs as needed. © 2016 EZIA Coach | All Rights Reserved.